1 The STEM community is pleased to announce the 2018 STEM Contributor of the Year Awards. 2.1 V4.0.0 is now available !! V4.0.0 is now available !! New Model Generator makes it easy for domain experts to create new STEM Models (no programming required) !! NEW framework and examples for modeling food borne disease including transformation of populations to food, and mapping of disease in populations to diseases of food. Overlaying edges are now displayed by having them bent when more than one edge connects two nodes. Migration edges can be edited (population id and migration rate), Common Border Edges can be edited (border length). Two nodes (when selected) can be connected with edges (select type in context-menu opened with a right-click). We have improved the error handling code in STEM to make it easier for users to detect when they have composed an invalid scenario. See the new documentation on how to run STEM in Headless mode. This is the way you can remotely run massive numbers of simulations!! A new example project is available that demonstrates the new feature Importing a Pajek Graph. To see the example, go to the Downloadable Scenario (New) Pajek Import Example. Please also see the documentation on how to use Pajek with STEM. The PajekNetGraphGenerator was created and developed by the Department of Biological Safety of the Federal Institute for Risk Assessment in Germany. If you add them to your STEM launch configuration, you'll have a new "Macdonald Ross" disease model available to you. Currently, the model is the most basic possible, an SI model that does not take into account the latent period (both human and vector) as well as immunity. The model comes directly out of the standard Anderson & May textbook, chapter 14.3 (basic model for malaria), the differential equations on page 394. In the future we will add more advanced vector models to this plugin. 2. It runs each scenario in the project and checks to make sure the models generate "valid" results. By valid we mean: 1. That the compartment states (e.g. S+I+R) adds up to the total population. 2. That no compartment ever goes negative. 3. That the log files generated by the  scenarios agrees with a reference stored under the "Recorded Simulations/IntegrationTest" folder. The scenarios tested right now includes basic single location SI, SIR SEIR scenarios, scenarios with mixing between two nodes, scenarios with mixing/migration between two nodes, scenarios having air transportation and scenarios including a percentage of the population being inoculated. More tests will be added soon (e.g. multi-population disease models, population model tests) to test all aspects of STEM end-to-end. For developers, please make sure you test your code by running (at least) the integration tests to avoid breaking things. September 2010. A tutorial for the Automated Experiment function is now available at http://wiki.eclipse.org/Running_an_Automated_Experiment. The tutorial explains how this function allows the user to sweep through a range of parameter values for a disease model, running and logging the results for every possible combination of parameter values. This tutorial will be of special interest to those who have downloaded the sample project using this feature at http://www.eclipse.org/stem/download_sample.php?file=AutomatedExperimentExample.zip and read the documentation for that sample project at http://wiki.eclipse.org/Sample_Projects_available_for_Download#Automated_Experiment_Example. August 2010. In a fun test of STEM's ability to rapidly prototype new disease models, T. Parviainen used STEM to enter a 48 hour programming competition. 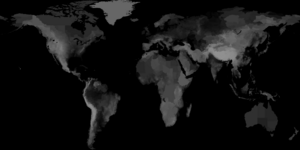 He created a visualization for a hypothetical zombie pandemic: http://teropa.no.de/. To read more about the epidemiology of zombies see also this paper by Philip Munz et al. (http://www.mathstat.uottawa.ca/~rsmith/Zombies.pdf) Follow the zombie thread on the news group. Read comments about Parviainan’s entry at http://nodeknockout.com/teams/teropa. August 2010. STEM now includes earth science datasets for global surface elevation, total rainfall, land surface temperature, and vegetation. Inclusion of these earth science data sets provides the foundation for simulation of mosquito-borne and other zoonotic diseases. Monthly data is provided for total rainfall, land surface temperature, and vegetation. Calculations provided within the earth science data sets include surface roughness calculations such as average, standard deviation, maximum, minimum, range, skewness, kurtosis, and root mean square. Data for surface elevation (in meters) were obtained from the NOAA Global Land One-Kilometer Base Elevation Project (GLOBE). The highest possible elevation was 8,752 meters and the lowest possible global surface elevation was -407 meters. Bathymetric elevation data is not included in the global surface elevation data. Data for total rainfall (in millimeters) were obtained for each month from the NASA Earth Observatory (NEO). The NEO data is derived from the The Tropical Rainfall Measuring Mission (TRMM). The highest possible value was 2000.0 millimeters of rainfall and the smallest 1.0 millimeter of total rainfall for each month. and below 35 degrees South Latitude (as evidenced in the image, places without data are in black). Data for land surface temperature (in degrees Celsius) were obtained for each month from the NASA Earth Observatory (NEO). The source of the land surface temperature data is the NASA Moderate Resolution Imaging Spectroradiometer Terra/MODIS. The highest possible temperature is 45.0 degrees Celsius and the lowest is -25.0 degrees Celsius. Vegetation. Data for vegetation were obtained from the NASA Earth Observatory (NEO). The data source for the normalized difference vegetation index [NDVI] (250m) is Terra/MODIS. NDVI provides continuity with NOAA’s AVHRR NDVI time series record for historical and climate applications. Values for vegetation based on NDVI are also described in wikipedia Normalized Difference Vegetation Index. The highest possible index for global vegetation is an NDVI index of 0.9 and the lowest an NDVI index of -0.1. 1. Elevation data: GLOBE Task Team and others (Hastings, David A., Paula K. Dunbar, Gerald M. Elphingstone, Mark Bootz, Hiroshi Murakami, Hiroshi Maruyama, Hiroshi Masaharu, Peter Holland, John Payne, Nevin A. Bryant, Thomas L. Logan, J.-P. Muller, Gunter Schreier, and John S. MacDonald), eds., 1999. The Global Land One-kilometer Base Elevation (GLOBE) Digital Elevation Model, Version 1.0. National Oceanic and Atmospheric Administration, National Geophysical Data Center, 325 Broadway, Boulder, Colorado 80305-3328, U.S.A. Digital data base on the World Wide Web (URL: http://www.ngdc.noaa.gov/mgg/topo/globe.html) and CD-ROMs. 2. Rainfall, Temperature, and Vegetation: Data is derived from NASA’s Earth Observatory. Thank you NASA!! Currently, only earth science data for 2009 is built into STEM for total rainfall, land surface temperature, and vegetation. Provided in the thumbnails are animations of these earth science data sets over the year. June 2010. STEM now supports user creation of custom lattices via the New Graph wizard. The wizard makes use of "Graph Generators," a new concept. A graph generator is a pluggable component that is able to generate a graph (a collection of nodes and edges) either algorithmically or from an external file. Currently, we have implemented an abstract Lattice Graph Generator with a Square Lattice Implementation. A user can specify the size of the lattice as well as several options for how the nearest neighbor (Common Border) are organized. In the future we plan to also support creating a New Graph From File. June 2010. Several wizards (Infector/Inoculator, Population Model, Population Initializer) now use a consolidated location picker dialog that gives users the option of selecting any location within the currently selected project. This allows the user to pick for instance one of the automatically generated grids on the lattice graph. Whatever UIDs exist in the user’s graph can be applied. The dialog also filters down the number of possible locations dramatically from all regions in the world to only the ones that are applicable in the current project. June 2010. There are now several new options available when a new infector or inoculator is created. First, it is possible to create an infector or inoculator by importing data from external files in the form of the comma separated files used by the STEM logger. A collection of infectors/inoculators can either be created from the first, last or any manually specified row from such files. We have found this feature extremely valuable when "boot-strapping" the initial state of a disease from a steady state (e.g., the seasonal flu state of the population in the summer time for northern hemisphere). This page was last modified 18:59, 16 April 2019 by James Kaufman. Based on work by Judy Douglas, Stefan Edlund and James Kaufman.